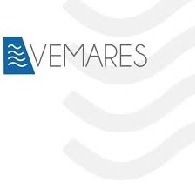 All Vemares Travel tours, river cruises, expedition cruises, and adventure trips. Find the best guided trips and expert planned vacation and holiday packages. Average rating of 0.0 for all Vemares Travel trips. Visit Vega Robaina (a tobacco plantation), where the famous tobacco grower of the same name lived. Learn about that period in Cuba visiting some museums, such as the Romantic Museum. Explore Trinidad and visit Valley de los Ingenios, located about 20 miles from Trinidad.